- Members of VJU can enter the library from 8:00 AM to 6:00 PM every day. - To enter the library, need a Student / Faculty ID card or entrance card (IC card). 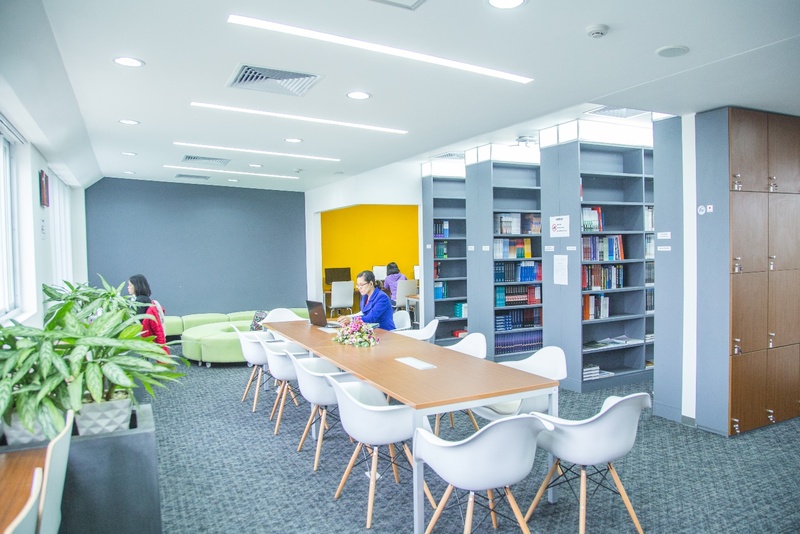 Being a newly established university belongs to VNU, VJU has lots of efforts to support student studying activities, including the development of university library. Thanks for the support from the Japanese government through JICA, up to date, VJU library has more than 900 books in English, Japanese and Vietnamese. The books are mainly related to 6 ongoing Master programs in VJU. The number of books will be continuously invested to adapt with the reference needs of the students. Besides, VJU library also invested a computer system with internet connection to support the student activities in information searching and updating. Please contact our library staffs for more information and supports.